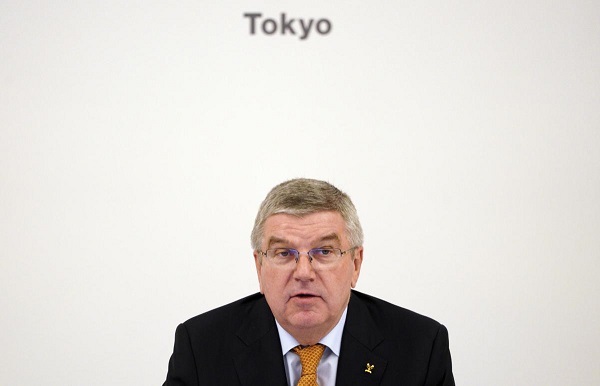 IOC President Thomas Bach and other International Olympic Committee members are calling Tokyo the best-prepared host city in recent memory. Still, there are problems ahead of the 2020 Games - small by the standards of the corruption-plagued Rio de Janeiro Olympics in 2016. John Coates, the head of an IOC inspection team, wrapped up three days of meetings in Tokyo on Wednesday by saying the city's summer heat is a growing worry. Organizers are proposing to start the marathon between 5:30-6 a.m., and have moved up rugby matches by several hours to play in the cooler morning air. Organizers are also struggling to keep the 600 billion yen ($5.3 billion) operating budget balanced with heat-related solutions driving up costs. This is the budget for running the games themselves and separate from billions the government is spending to prepare the city.